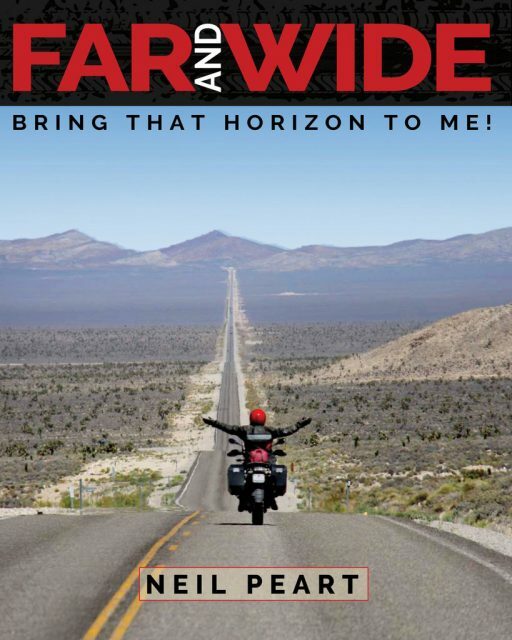 If music and bike trips are your passions… Neil Peart may just become your favourite author. Famous in the rock world for being RUSH’s drummer, Niel spends his free time in the saddle of his bike and writes books about his travel experiences. The last book was published a few months ago. 35 CONCERTS. 17,000 MILES ON A MOTORBIKE. THREE MONTHS. In May 2015 the rock trio Rush started the ‘R40’ tour, for their 40th anniversary, thought as a closing event of a long and fortunate career. For Neil Peart, each tour was much more than a series of concerts: it was the chance to explore back roads near and far in the saddle of his BMW. 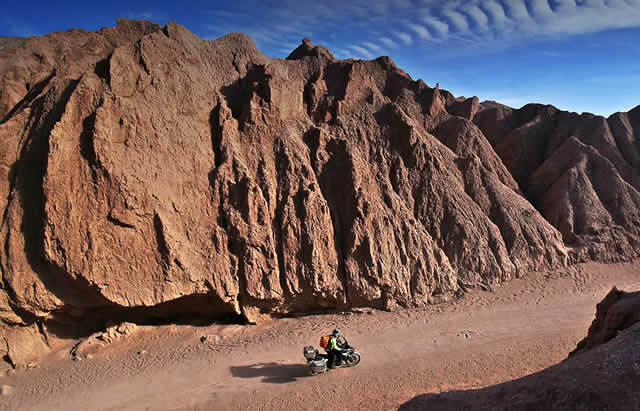 For him R40 was also the last great motorcycle adventure. Consideration that made him decide this should be the best ever, on and off the stage. What happened is told in FAR AND WIDE, third volume in a series (keep reading) of stories, with many pictures, that take the reader around the whole of North America and through 50 years of memories in the saddle and on the drum stool. Form the scenic grandeur of the American West to a calm lake in the Laurentian Mountains of Québec, to the roads of Midtown Los Angeles… Each story is told by a reflective and enchanting ‘narrator’ who has found a place in the heart of many readers. Price: You can find it on the web from around $16 (Kindle version) to $20 (hardback version). 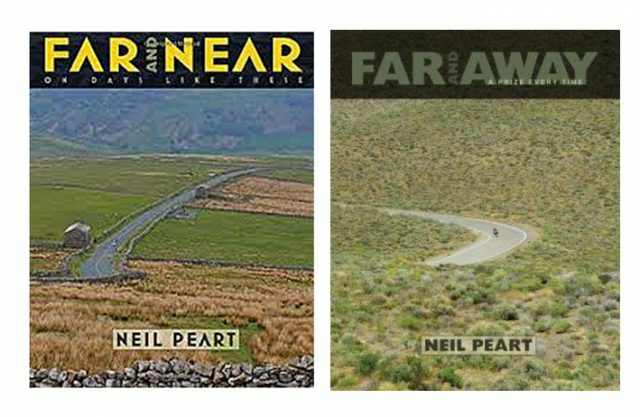 FOR MORE INFORMATION: Neil Peart is a prolific writer. Over the years, he has published 7 books, all connected to music and travel stories. One book even suggests the soundtrack to listen to while riding (Traveling Music). Two books are particularly connected to the one we are reviewing. They are FAR AND AWAY (2011) and FAR AND NEAR (2015). In the first one Neil allows us to travel with him along back roads in North America, Europe and South America. Twenty-two stories under the guise of open letters telling adventures, thoughts and personal images. A format used also in the second book, comprising three years of his life, both travelling (along secondary roads in Louisiana up to the snow-covered woods of Quebec) and behind the stage of RUSH’s live performances. 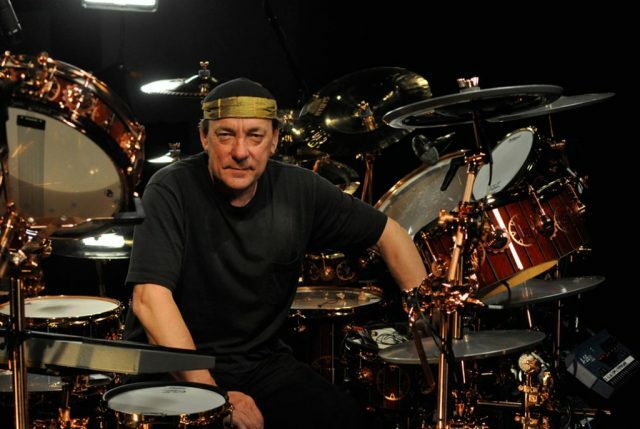 Neil Peart has many stories to tell and he is riveting in doing so. With the pictures the author celebrates seasons, scenery and people, roads and paths. The rock group”Rush”formed in 1968 in Toronto, Canada. The group is made up by Geddy Lee (bass, keyboards, voice), Alex Lifeson (guitar) and Neil Peart (drums and lyrics). Neil joined the group taking the place of the first drummer in 1974, just before their first US tour. Their discography is cyclic, with genre changes punctuated by the publication of live albums. For more information visit the publishing house’s website (www.ecwpress.com).